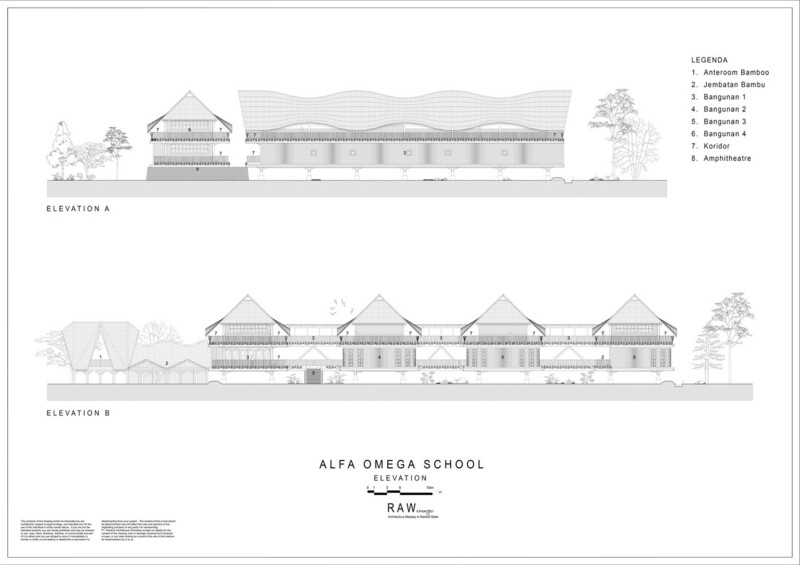 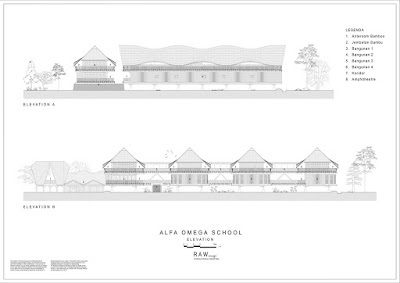 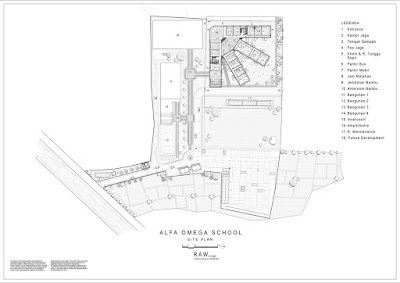 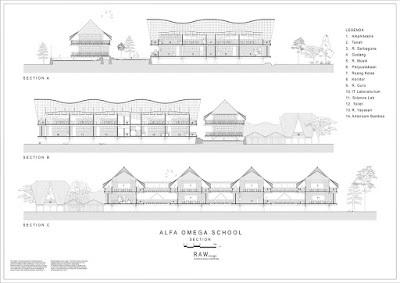 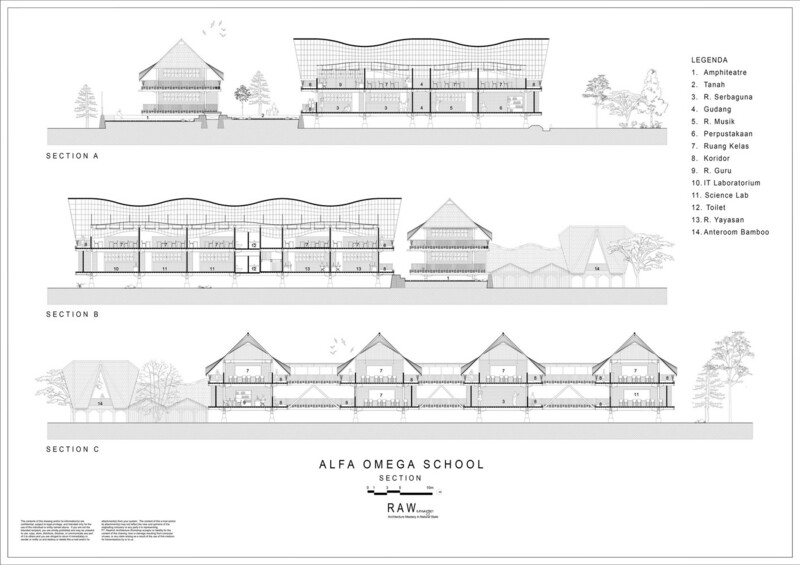 Alfa Omega school is an educational building with spirit of locality. 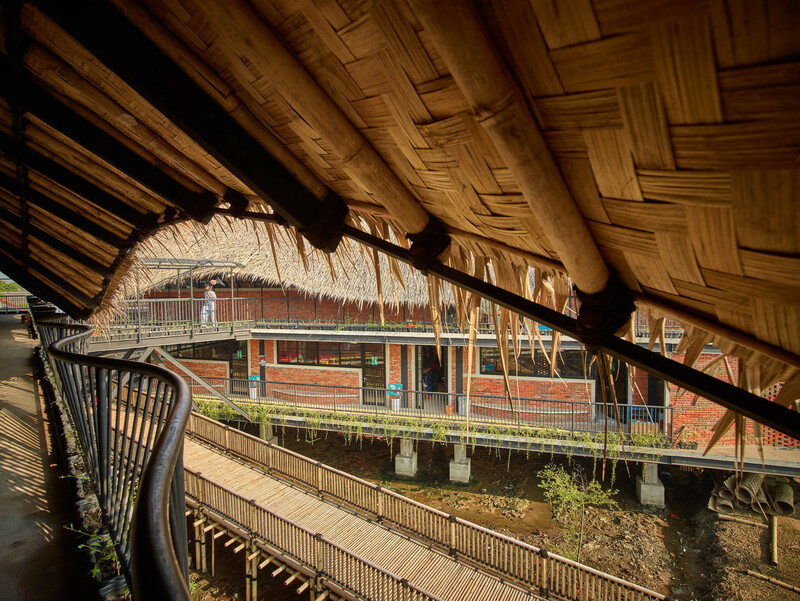 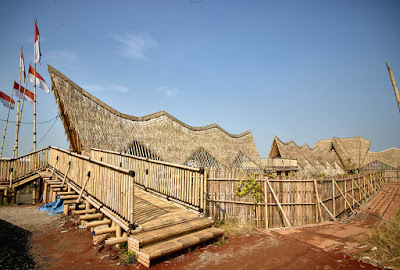 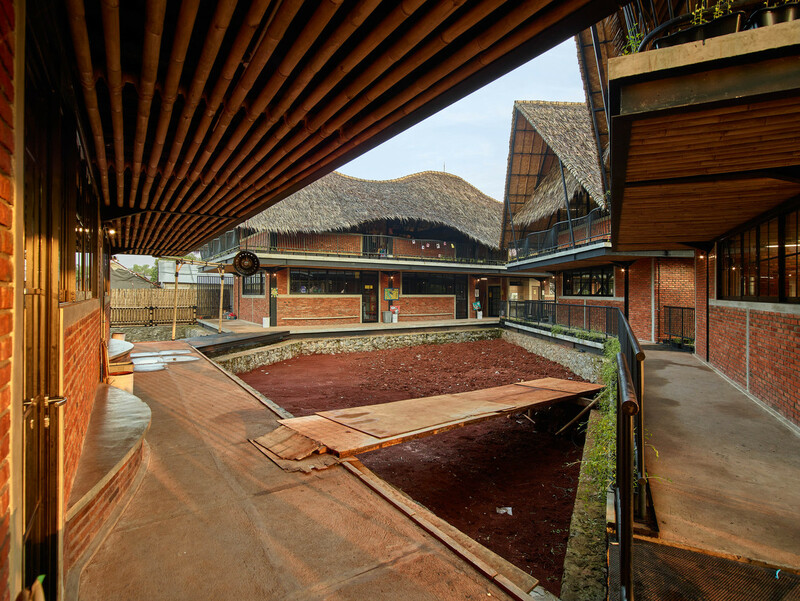 Located on Tangerang city, it sat on 11700 sqm area with the prior condition of swamp and paddy field. 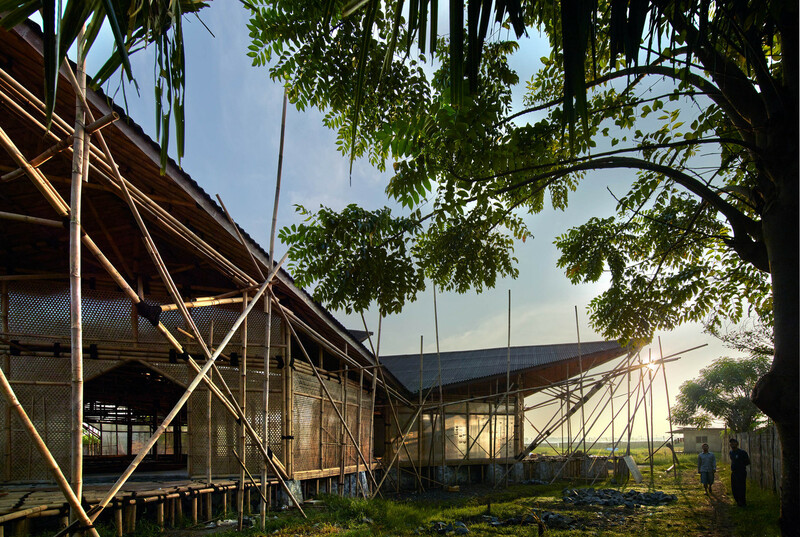 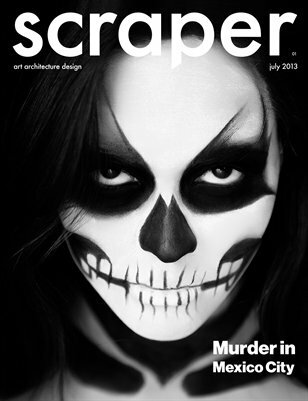 The design responded this unstable soil condition by raising structure to 2.1 m high above the ground. 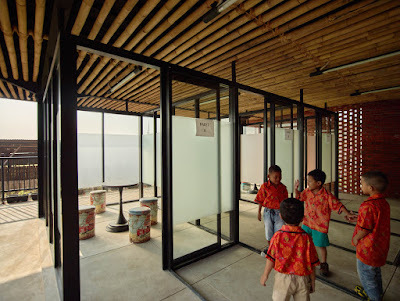 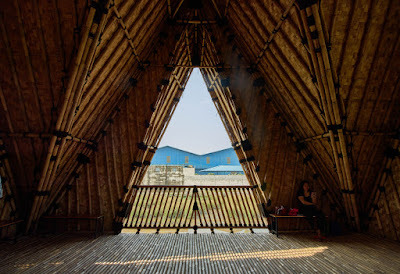 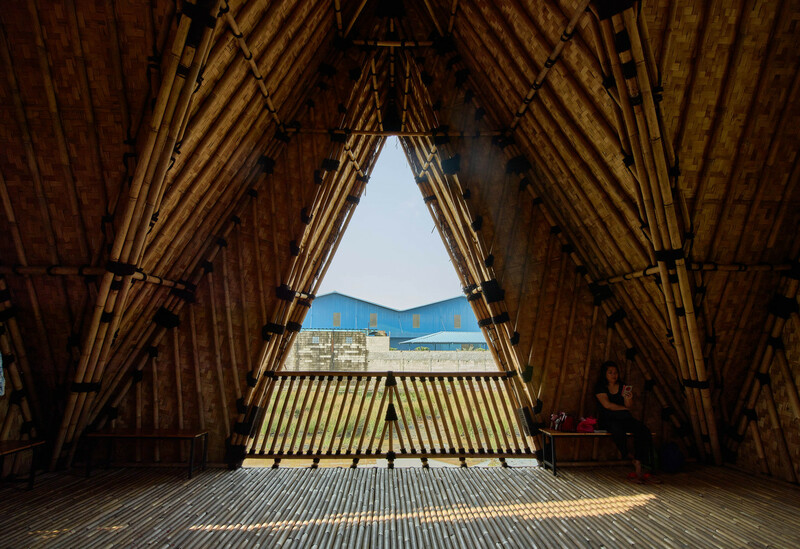 The site itself was chosen as part of design scheme, -corresponding to its natural surroundings, in order to give children sense of closeness to nature, thus invoking outdoor-learning experience. (The building integrates 4 modular buildings, with efficient access point in one central court yard, due to limitation of local land zoning of what can be built and what can not be built.) 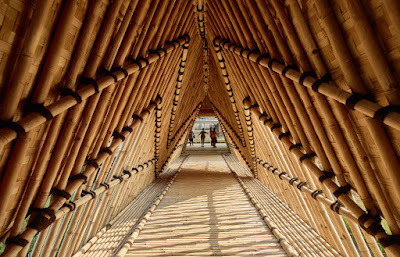 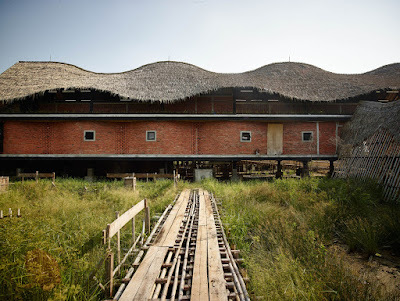 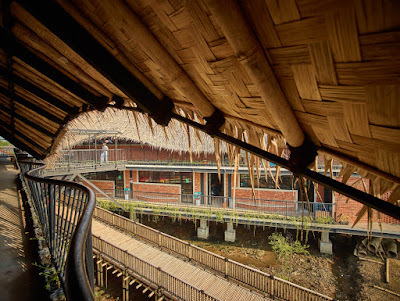 The solution to answer the brief of the project is to create an optimum collaboration, or bridge relationship in economic and creative process of construction in two important levels of masonry steel and bamboo construction which can enrich the economic impact of surrounding.